I spent my CES looking for the solution to the growing complexity in the smart home and didn’t really find it. Instead, I came to the conclusion that the best option out there for a regular person trying to create an easy-to-use smart home automation system is the Works with Nest program. Not the not-even-ready-for-prime-time HomeKit, not SmartThings, not Wink or Insteon or any one of a dozen still-to-be-launched hub and sensor packages that are still coming to the market in 2015. Now, when it comes to ease of use, the Works with Nest program won’t let users do anything beyond link their devices and select whether they want to turn a feature on or not, but its options are becoming more useful and powerful every update. And at CES, several partners announced updates, making it much more likely that most Nest owners can now experience a product that will tie into their Nest thermostat or Protect. For example, Philips announced a Works with Nest tie in that lets your light bulbs slowly dim when your thermostats move to the away setting. If it stays in Away for more than a day, the light bulbs then start randomly turning on and off to simulate you being home. It took me three screens to link my Nest and Hue accounts and turn that feature on. Presumably now I’m saving energy and have improved security whereas before when I’ve gone away I’ve set my Nest and manually programmed my lights. There is a SmartThings app that allows for the lights to randomly turn on and off, but I’ve literally never found it. So while the Works with Nest program isn’t for someone like me who came back from CES pumped to try to create an IFTTT recipe that will make it possible to turn on my Hue bulbs in the morning in my closet and have them glow a different color based on whether or not the temperature is higher or lower than 40 degrees so I know how to dress for my dog walk (yes, I could just do an IFTTT recipe so my Sonos just tells me the weather via SmartThings) it is for people who don’t want to spend time troubleshooting or thinking about their homes. So it may ask if you want to have your lights blink when your smoke alarm goes off and your doors to unlock automatically. You click yes, and the software sets it up. Unlike with the Nest, the Staples Connect hub still leaves you with the ability to program all the other scenarios you’d like, but it is trying to offer the same trend of limiting the customer’s options and need for interaction with the devices in order to get some functionality. In many ways this is disappointing. I already knew I wasn’t going to find the one platform or a unifying standard at the show, and indeed saw the big platforms grow stronger, but I was hoping for some more intelligent and contextual user interfaces. I saw sparks on the horizon, with learning light bulbs from Stack lighting (also a Works with Nest partner) or the integrations that app-maker Muzzley is building. But the path to the truly intuitive home appears to be paved with limitations and perhaps a few false starts. If you’re going to buy into the smart home today, then I suggest you invest into one ecosystem such as Insteon, Wink or a known quantity. Or, if you decide to just go with the point devices you need, start with a Nest. And believe me, I wasn’t a huge Nest fan starting out. But for the lay person, it’s not a bad place to end up. the Works with Nest program wonâ€™t let users do anything beyond link their devices and select whether they want to turn a feature on or not, but its options are becoming more useful and powerful every update. Perhaps Works with Nest had the best UI because it had few features…and as they add more features and complexity, they’ll start to look like other HA UI’s? 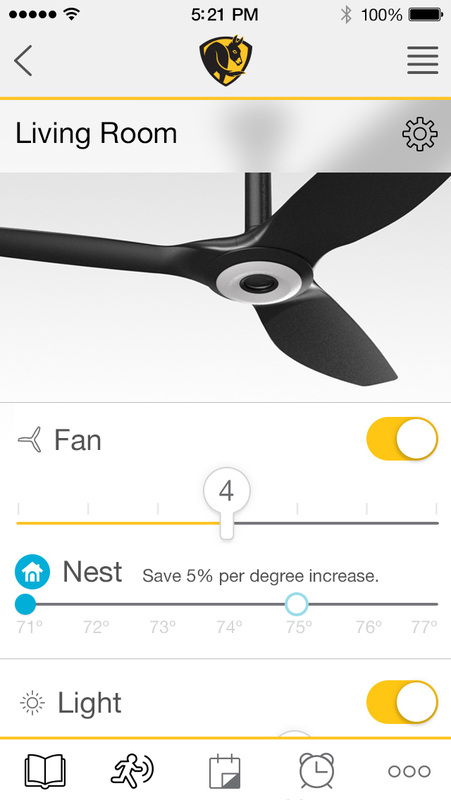 Kind of unfair to compare a full-featured HA interface with something like Nest or Hue hub UI. Yes, Insteon has a full product line and a ten year track record. It does everything all of the new start ups and new entries into the smart home market are trying to do. Where Insteon is lacking is in ease of set up. But that’s mostly because you can do SO much with it, it can be daunting. Setting up a “smart” home that reacts to infinite sensors / inputs in a customized way is a big task. The further you go, the more difficult it becomes. Wow, I’m surprised with this article because I truly think SmartThings is king. The app is way more intuitive to use than any other system I’ve experienced. At the same time, it’s extremely flexible, which is really important for a home automation system since every family uses their home differently. I feel SmartThings will prevail. I love SmartThings for my own use, but it is confusing, even for me sometimes. When I’m not testing stuff out, my home is running on a smartthings hub. But for the normal person who doesn’t want to devote any time or effort to this stuff, it’s too much. Agree with pretty much with everything you have said here. Having tried Wink, SmartThings, and Staple Connect, those hubs can be a bit daunting for users, especially when you need to start changing out light switches and such. Reliability-wise, Staples is still king, with Wink slowly getting worse over time, and the SmartThings app was just overly confusing to find things and navigate. Have you tried INSTEON? Works With Nest is a disjointed system, whereas INSTEON is far superior than anything these random startups have been doing the last couple years. I have not tried Insteon in my home. I’ve only played with it in demos and in other people’s homes. Originally I steered clear because it was not open, but it did recently offer an API so that’s clearly changing and makes it worth another look.